Sumeera brings 15 years international experience working in digital content, media and marketing to the Convergence team. Her comprehensive understanding of both the online and print media landscape means she’s adept at identifying opportunities for clients to engage by truly connecting their brands and messages with audiences. South African-born, Sumeera’s diverse knowledge of digital media and publishing has been gained in roles that include Digital Editor, Associate Publisher and Marketing Publication Manager. She has worked for global content agency John Brown Media, South African retail giant Edcon, media powerhouse Naspers and Amsterdam-based NGO BothEnds. In New Zealand she was a Digital Producer for stuff.co.nz, where she drew upon her extensive fashion and beauty sector experience in publishing to curate content for the Life & Style channel. She also wrote for Avenues magazine and Zest. Sumeera has an innate creativity and ability to work with brands to construct innovative, credible and disruptive content opportunities. Her core strengths include writing, strategic management of content plans, 360-degree content creation and the development of memorable brand and user experiences. A ‘channel agnostic’, she maintains a firm focus on ensuring visual and written content engages relevant audiences on the right platform. 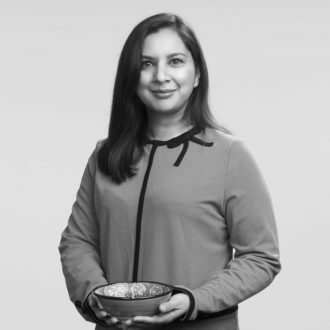 Sumeera also has client-side experience working with communications and marketing specialists, so has developed strong relationship-building skills that allow her to understand her clients’ needs and work with them to achieve their business objectives. With a personal interest in the finance, health, fashion, retail and travel sectors, Sumeera’s professional standing is backed by post-graduate studies in publishing, marketing, internet journalism and creative writing.